Share your funny camping stories!!! Does anyone know of a good place to camp around knoxville TN? Thanks. Its so Lyme infested around here that I would not go camping in NJ/NY or CT I had it and it ruined me too tired and sick all the time with colds, flu and bronchitis no camping for me. It's been great camping weather here in the National Indiana Lakeshore Dunes! I had a big fire last night, and there's no mosquitoes, plenty of fishing and beachcombing! The season is nearly over here in Upstate NY. Right now it is perfect during the day.. as far as temps. However, at night.. the sleeping is pretty cold. Good weather for a fire... however, when is it not good weather for that? I have tried Winter camping a couple of times.. let us just say.. all it took was a couple of times.. and I am just able to say I did it.. and remember the experience well. laughs. I can not wait for next season. One of My favorite spots here is up near the Alexandria Bay area.. and also a place called Black Lake in the Adirondacks. I used to go there alot when I was young with My maternal grandparents. Which reminds Me of a funny camping story. The first fish I ever caught was a Northern Pike. Now mind you they are large and have sharp pointed teeth. We (My grandparents and My aunt and uncle) were fishing on a bass boat. Which as we all know are pretty level to the top of the water. I hooked that fish on a fake worm and was trying to reel it in.. and as fast as I went.. it would pull more line out.. finally I hollared to My gramps and asked him to help (I seriously thought this fish was going to pull Me out of the boat).. My gramps.. just said "you landed it, you have to reel it in". Well My gram was nonplussed and said "Joe, that fish is going to take her overboard" and gave him the "look". Finally, he came over to help Me. However, by the time he did I had it nearly to the side of the boat. That is one of My fondest memories of camping when I was young and also one of the funniest. My niece said she will sell me her RV when she gets sick of it. Meanwhile, I sleep in my car when I take a trip. I took out the back seat and put in a Serta Perfect Sleeper, no kidding. Recently I took out my front passenger seat and put in a camping toilet. I assembled a tent-like apparatus inside the car which I can easily disassemble in order to drive. All this inside of a tiny Honda Civic. I have slept in the country, cities, towns, highways. Does anyone know of a good place to camp around knoxville TN? Thanks. . I do not have a good grasp of of your state so please forgive me if I get this wrong. 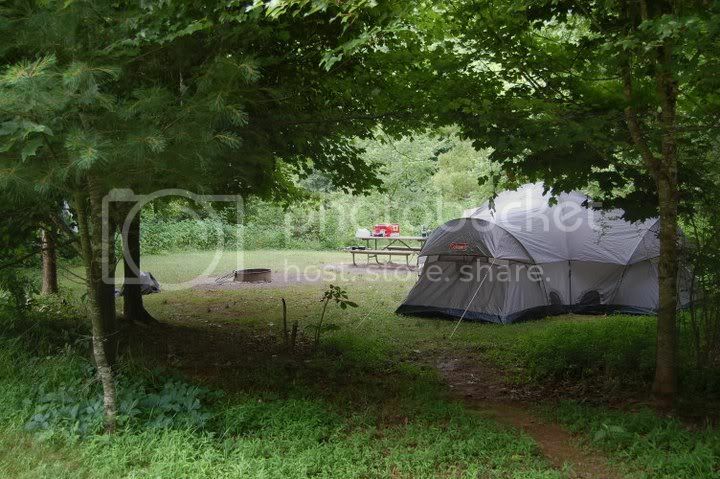 Western NC and North East Georgia have hundreds of good camp sites most along the Blue Ridge and Smokie Mountains!!! Literally hundreds of state and national parks. Just have to hide your food up on the pole though. The black bears are thieves! Have you ever walked the Applachian Trail? Not sure how far that is from Knoxville though. It is the perfect time for camping in this area and I would give anything to find some camping buddies and hit the road for campfire, fishing, ghost stories and Somemores fun!!! Always something going on there!! Just a happy kind of place!!! In Indiana??? I grew up in Sounthern CA! And of course a car battery friendly curling iron is a must. Why haven't you found out about butane powered curling and straightening irons. I have several curlers (one in my travel bag, one in the bathroom, one at the office...) and one straightener. Their made by Conair. They use replaceable thermacells. It's about 3 hours outside of Dallas. Yes, in Groesbeck area. Takes about 4 hours to drive from Houston. We've stayed there in a cabin once, in the summer, and twice in a truck-mounted tent. I bring all the luxuries. The tent is custom fitted to the truck, and the mattress fits around the wheel-wells. I bring a pop-up canopy, and we place it over the picnic table they provide for each site. I bring thermo-electric coolers, real dishes, totes that convert to sink basins, lanterns, a dining table, chairs, battery-operated candles, music, etc. We have candle-lit dinners. Sound kinda nice for camping, huh? Oh, and I forgot that I rig-up a window unit A/C into the regular tent, when the weather is warmer. We've even built a privacy screen and our own "kitty-litter" powered porta-privvy. We don't suffer much when we camp. Anyone planing on any camping trips? We just went camping/kayaking for a week @ New River State Park in NC. Hoping to do some fall wknd trips. Jack and I love to camp but had to sell our trailer before we moved from Los Angeles. It was a 24-foot Fleetwood and we loved taking it out and enjoying nice weekends at the lake. We've decided that we won't buy another trailer for a while so I've been working on building up our camping equipment. This weekend I went yard-saling with Riverboi and picked up a Coleman "Powerhouse" lantern for $5!! These are usually in the $100 range so I was tickled about it! Also picked up a screened enclosure to put over the picnic table area to keep out the mosquitos at Sam's a few weeks ago and have lots of other gear already. I have several sizes of dutch ovens and have practiced making different things in them over the years. CAN'T WAIT for cooler weather so we can make fires and cook and fish!! Dutch Oven recipes... for the love of all things glittery do I have the hook up. We have not been disappointed with one recipe yet. It's our home away from home!!! !